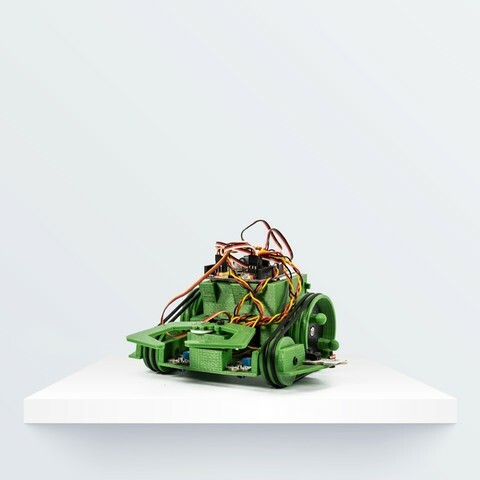 The PrintBot Escarabajo is an educational robot that can follow lines, search for light, and grab objects with its claw. The robot has been designed to attach other components such as servos, LEDs, push buttons, a buzzer, and other sensors included in the product "My first robotics kit" distributed by bq. See the attached pdf (in Spanish) in the "Files" section. Pictures are clear enough to follow the steps even if you do not understand Spanish. Attached you will find two simple Arduino programs ("Arduino_escarabajo ..."). One follows a line and the other searches for the brightest spot.